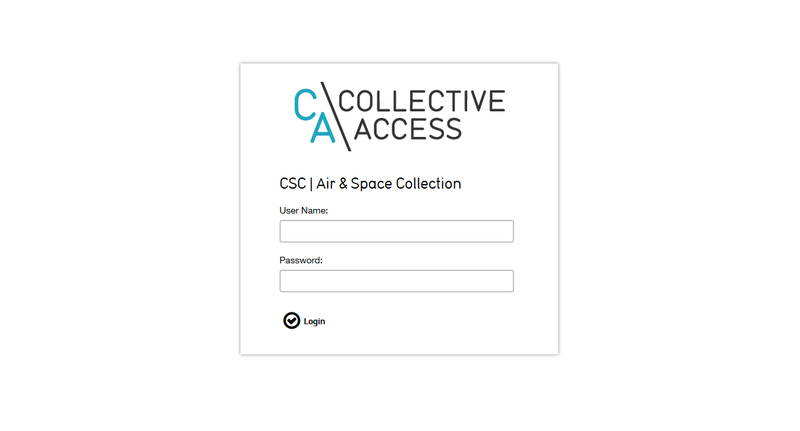 I developed a database to track air and space artifacts in the California Science Center’s collection for new exhibits in the Samuel Oschin Air and Space Center. We acquire and store hundreds of artifacts for our new air and space exhibits to convey scientific concepts to our guests. 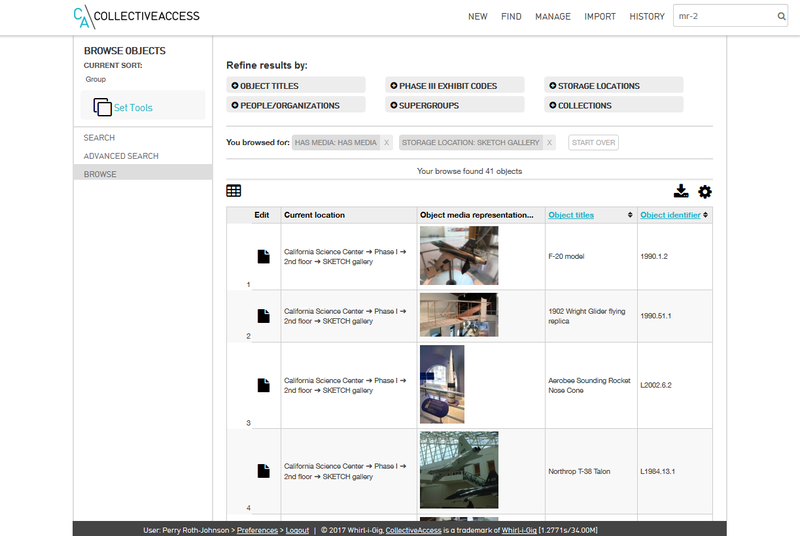 We also needed to track these artifacts and their metadata—for example, what they look like, which exhibits they belong to, where they are stored, their physical dimensions, who donated them, how they functioned, and why they’re important. 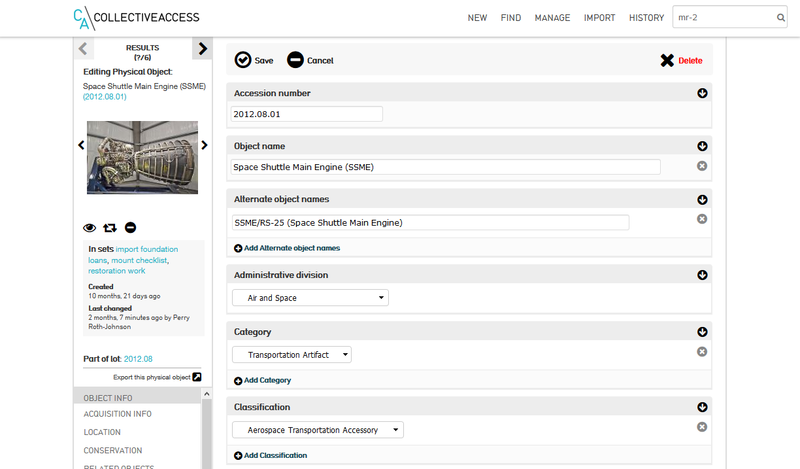 But, we needed something more robust than an Excel spreadsheet to manage all these artifacts and their metadata. 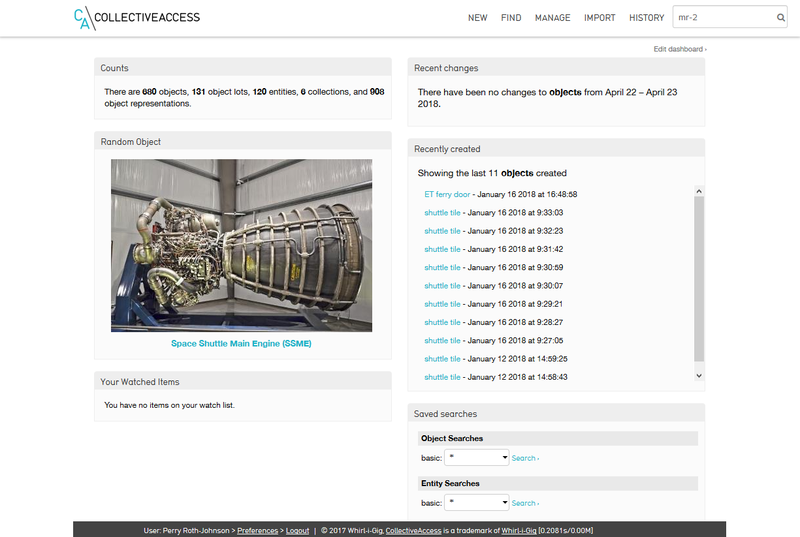 Therefore, I used the open-source software CollectiveAccess to create a custom database for our artifacts, and hosted it all on an internal Ubuntu Linux server running Apache, MySQL, and PHP.